A large church with a splendid tower. There is much of interest here too. Lets start outside. There is quite a bit of information on the notice board which appears to be updated regularly but nothing specifically about visitors. The church is open each day. 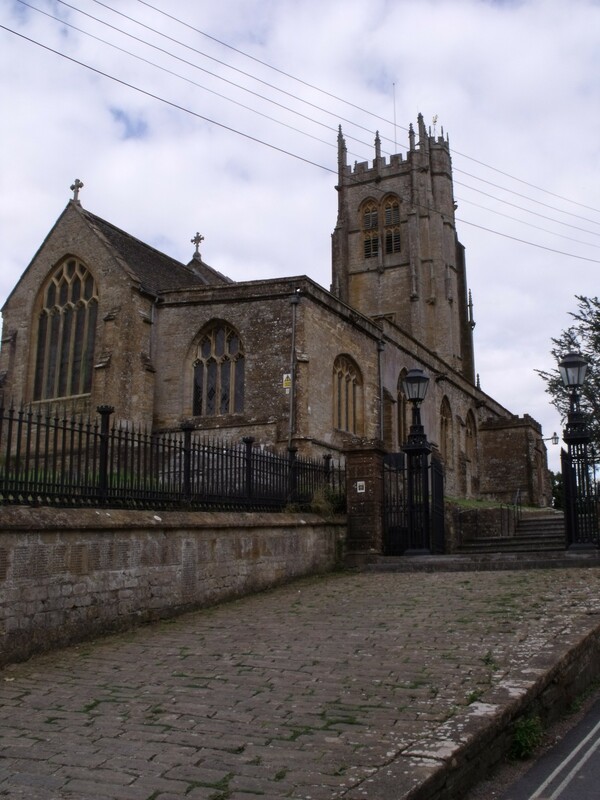 Beaminster is part of a large team of churches. 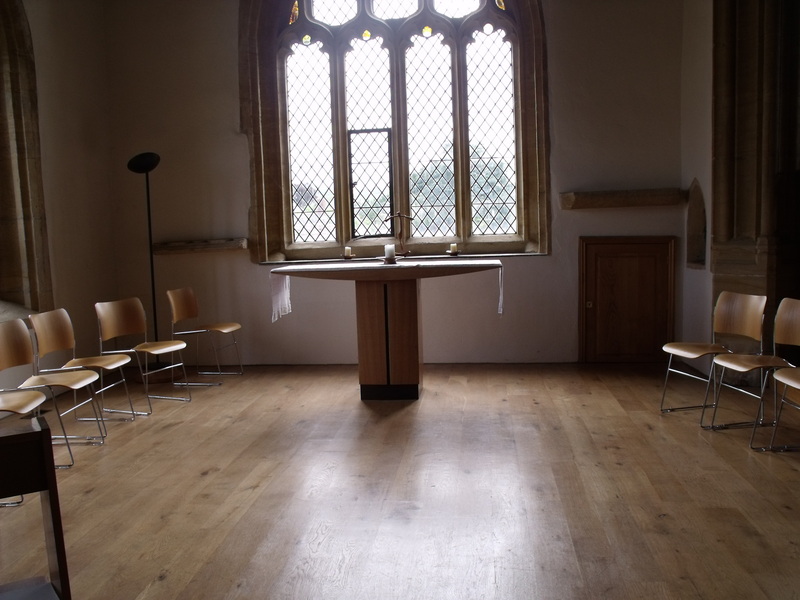 There is a good website on http://www.beaminsterteam.org/ but doesn’t give any specific visitor information for the churches of the team. St. Mary’s has a lift built into the corner of the churchyard as it isn’t otherwise the most disabled friendly church I have visited! There are lots of steps and this must really help. 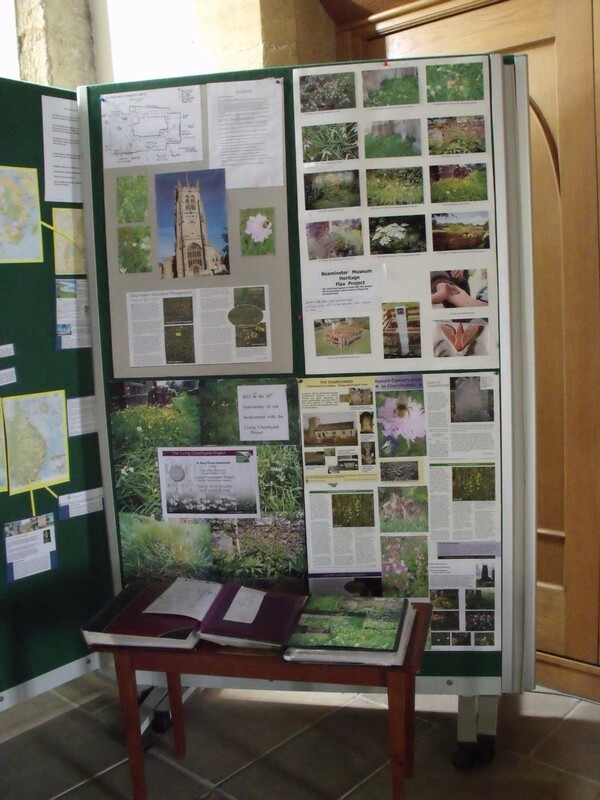 There are a good range of booklets and guides for sale – most locally produced and very good. Also post cards and a laminated guide to use whilst visiting. The children have an area and their work is displayed. I counted the Visitors book to reveal some 33 entries for July. 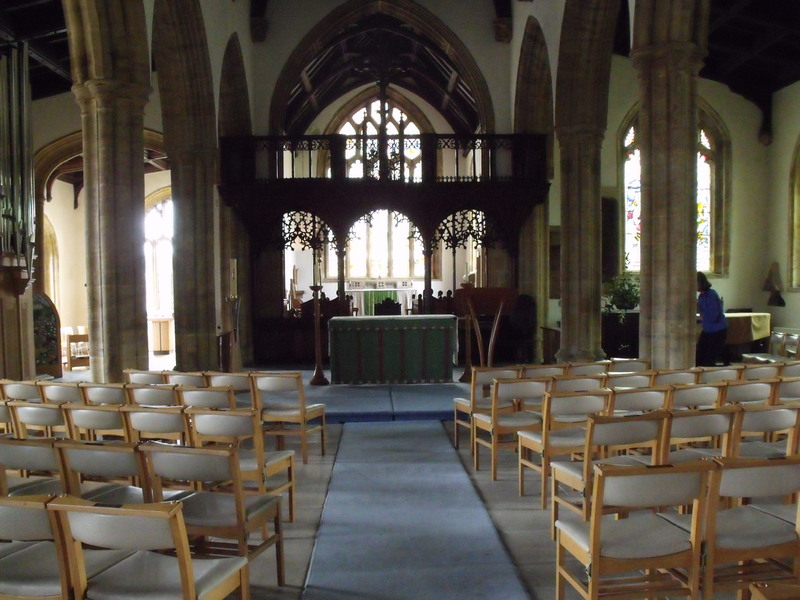 This is a very well cared for church with some fine modern furnishings and a recent pipe organ. A lady was arranging flowers and spoke of home the church was well loved and well used by the community. A recent drop in day was proving popular. Another Living Churchyard display is here as well and a votive stand and prayer board to use – I lit a candle myself for a lady I know who is dying. 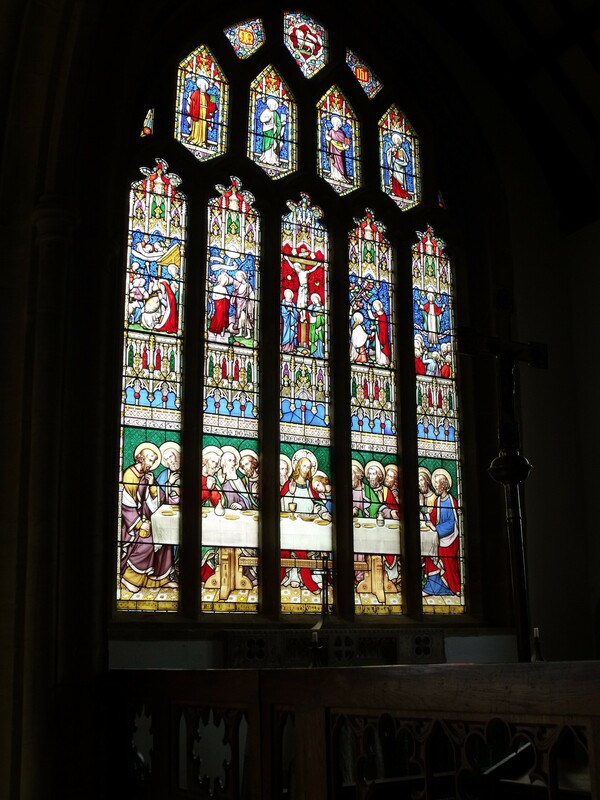 It is good to be able to do this in a church. 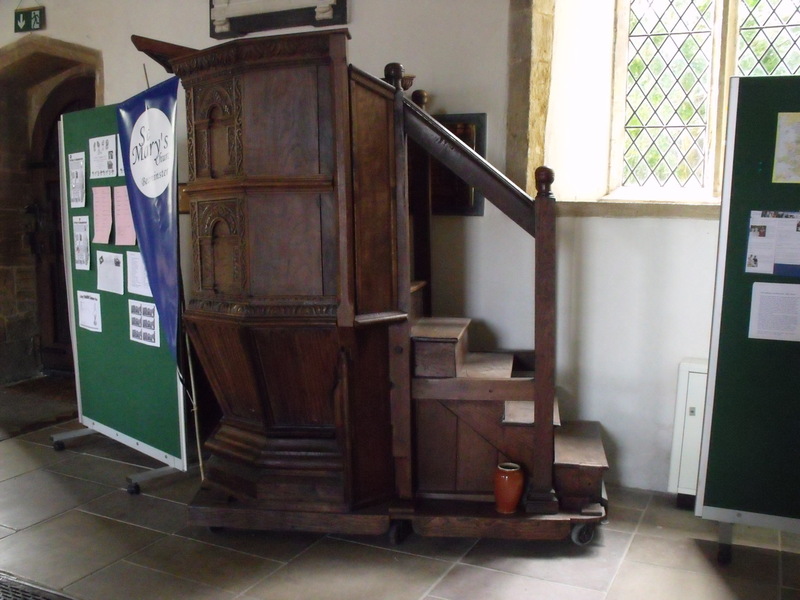 Another notable feature here is a large pulpit mounted on wheels! I rate St. Mary’s as very good for this study and enjoyed visiting here.